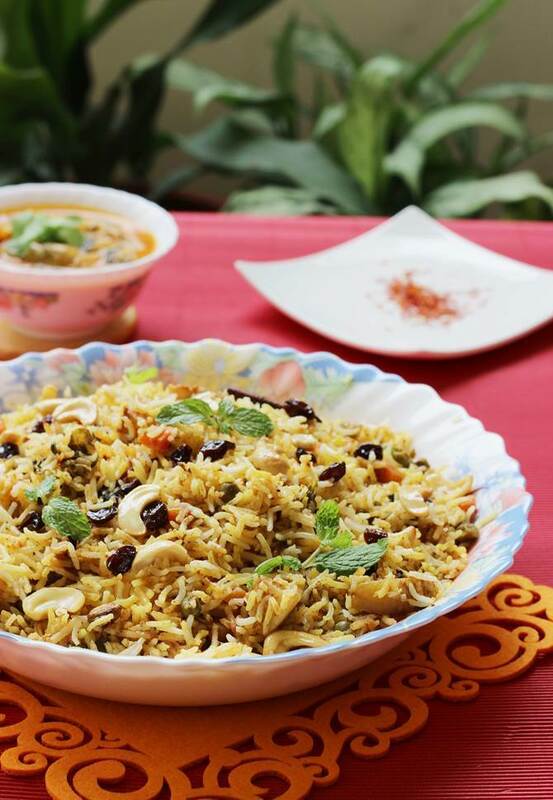 Veg dum biryani recipe – Biryani was brought by the mughals to India during the mughal reign. 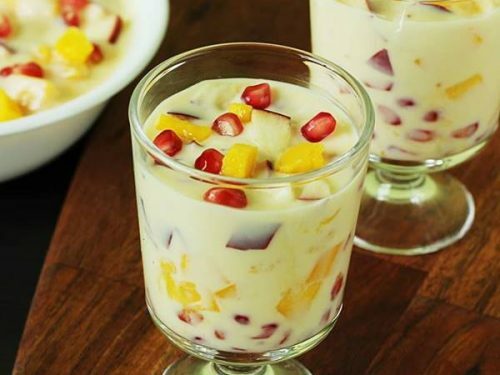 It became very popular as one of the most nutritious, rich and royal foods. Since the authentic hyderabadi biryani was dum cooked with meat, ghee, nuts and yogurt, it was considered as a nutritious and wholesome dish. There are sources that say “veg biryani” was born during the same time and was prepared by the vegetarian community working for the mughals. There are so many kinds of veg biryani one gets to see on a restaurant menu like kerala biriyani, lucknowi biryani etc. Hyderabadi vegetable dum biryani is one of the most popular, aromatic and delicious food loved by many. 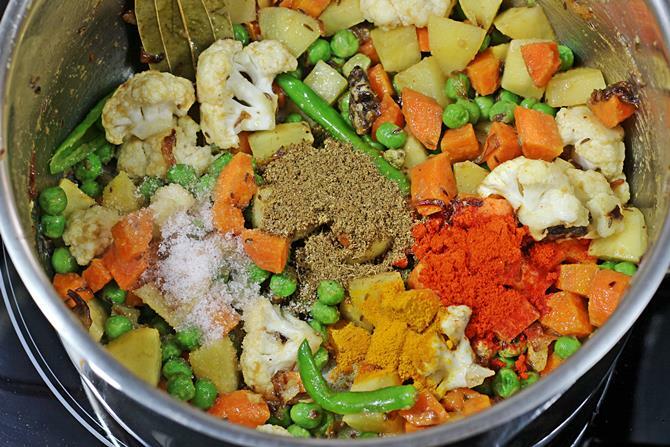 Making a vegetable biryani can be as simple as making it in a pressure cooker or one that is prepared with a fresh ground masala and dum cooked like the one shown in this post. 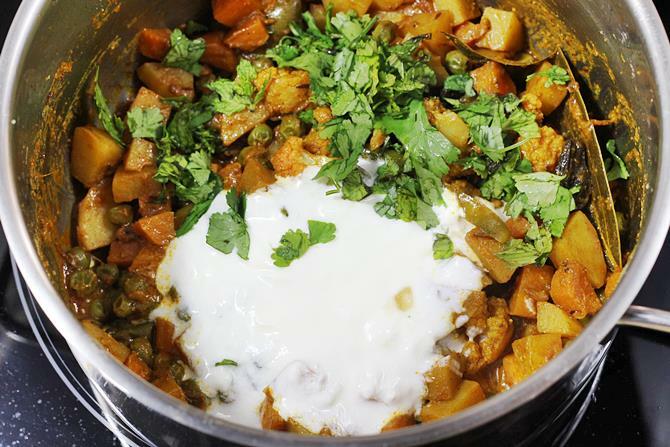 This vegetable dum biryani recipe is roughly adapted from the hyderabadi vahchef’s video and is one of the best veg biryani that I can ever make. To make vegetable dum biryani flavorful and delicious use the best quality aged basmati rice, premium quality spices, masala powder and fresh herbs. You can use a store bought masala powder or can make some from my biryani masala powder recipe (link in the recipe card below). 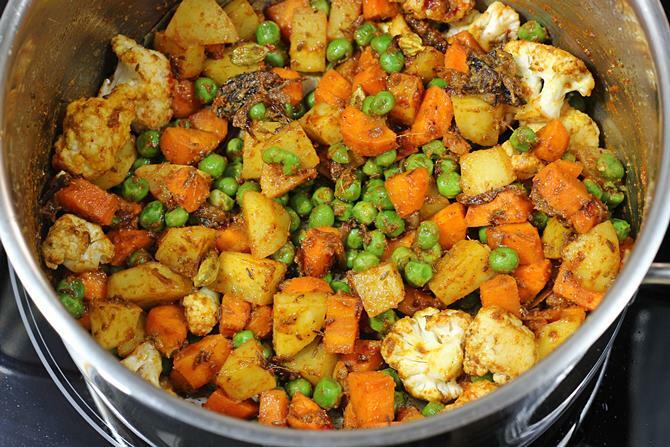 For this veg biryani recipe, veggies like carrots, peas, potato, cauliflower and beans are used. Avoid using veggies like brinjal, mushrooms or capsicums unless you have a personal liking towards them. You can also use soya chunks or meal maker nuggets if you like. 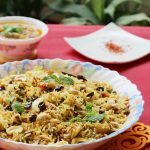 Making a good biryani is a regular affair at home and this collection of 30 biryani recipes shows my love for the home cooked dum biryani. Though the preparation & dum process is a bit time consuming, the results are great. If you do not prefer to go for a elaborate recipe, You may check this quick restaurant style veg biryani and this super quick veg biryani in presssure cooker. You can find the step by step photos after the recipe card below. 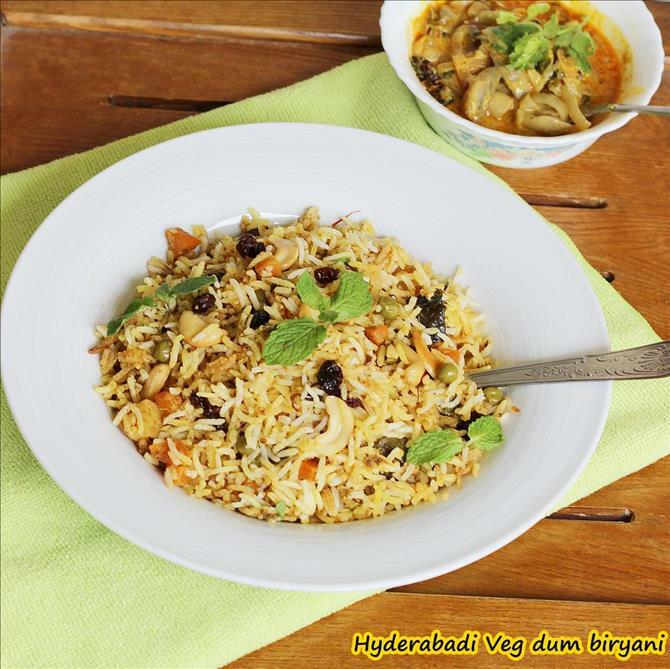 Vegetable biryani recipe in a hyderabadi dum style. 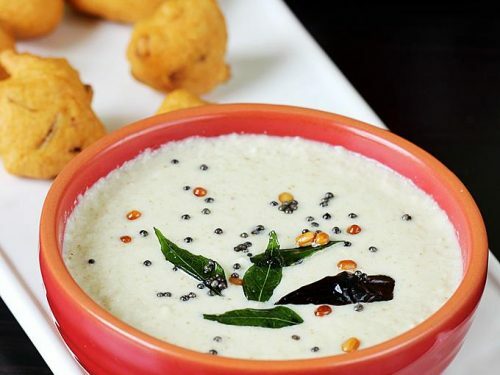 It is served as a main course with raita and gravy. In the same pan, add spices and saute till they begin to sizzle. Add ginger garlic paste and fry till the raw smell goes off. Add parboiled potatoes and the rest of vegetables. Fry for 2 to 3 minutes. Add turmeric, masala powder and red chili powder. Mix and fry well for 2 minutes till you begin to get an aroma. Pour 100 ml yogurt and mix. Cook till the vegetables are done to tender. You can cover and cook. Cook uncovered if there is lot of moisture after the veggies are cooked. While the veggies cook. 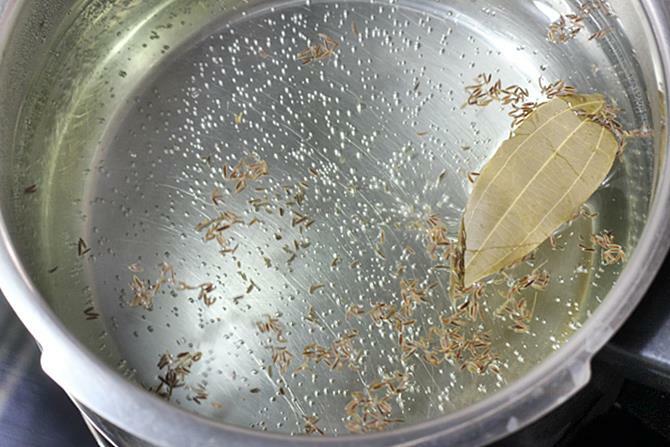 Bring lot of water to a boil and cook rice till al dente along with bay leaf and shahi jeera. The rice has to be cooked grainy and not mushy. Drain it off in a colander. Soak saffron in 3 tbsps of this hot water or hot milk. Set aside. 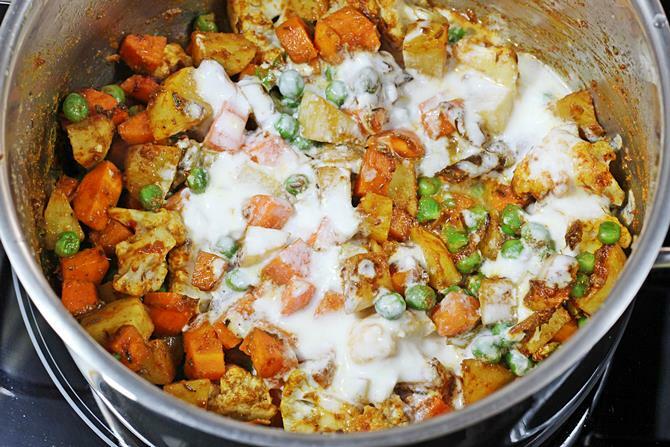 If you like to make a 2 layer veg biryani, set aside 1/3 of the cooked vegetable mix. Now mix together the rest of the cooked veggies, rest of the yogurt, mint, coriander, nuts and raisins, few fried onions. 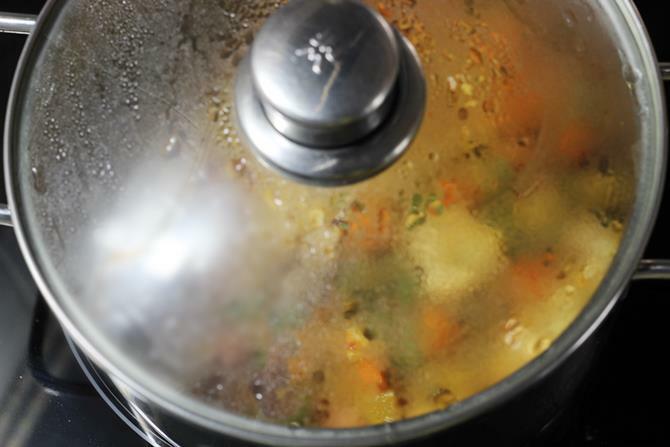 you can do it in a pressure cooker or any heavy bottom utensil. Layer the rice over the vegetable mix. 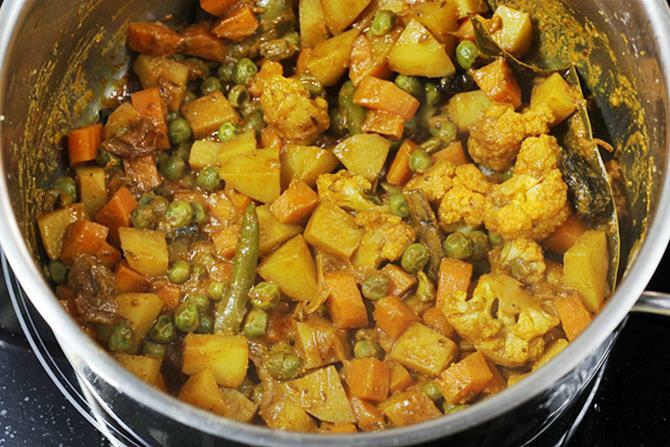 Then layer the 1/3 cooked vegetable mix or 2 pinches of masala powder. Sprinkle some fried onions, mint and coriander. 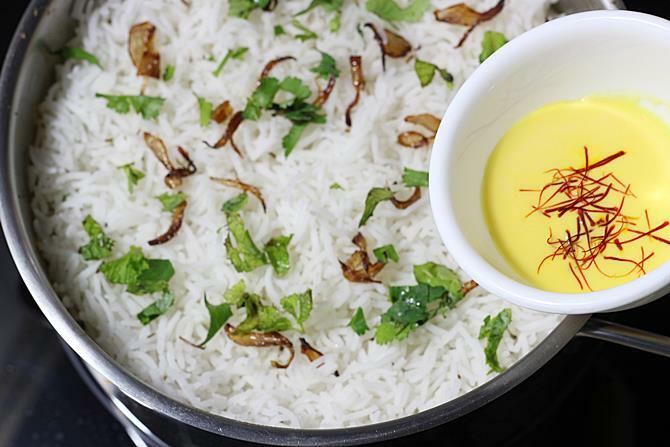 Layer rice over it again, then the fried onions, mint and coriander leaves and pour off the saffron milk. 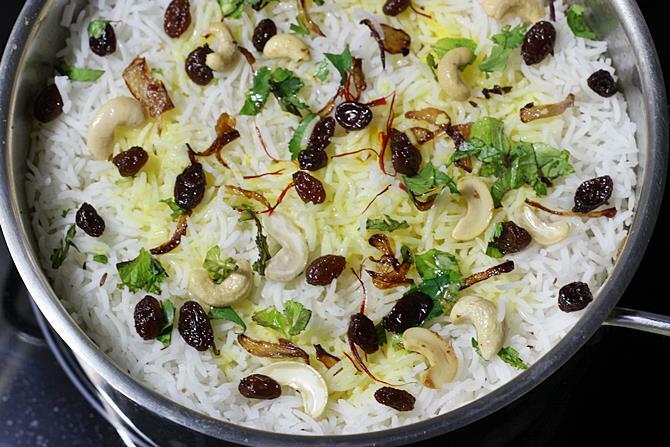 Fry nuts in a tbsp ghee, saute raisins and then pour this over the rice. Place a moist clean cloth to seal the rim. You can even use a foil or atta to seal the utensil. Place the dum utensil on a hot tawa and cook for 5 minutes on a medium flame and then on low for 5 to 7 minutes based on the thickness of your utensil. 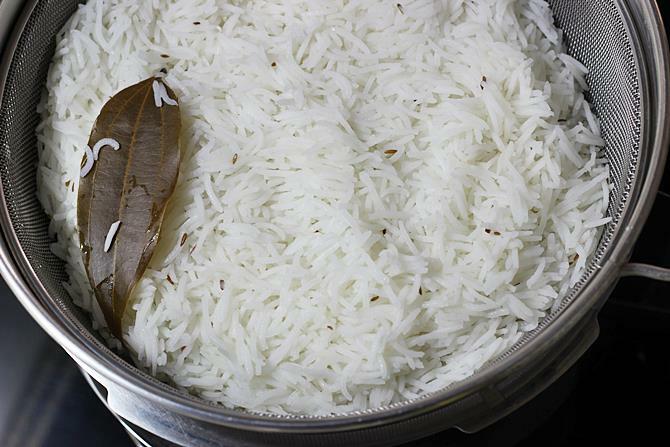 Serve hyderabadi veg biryani hot or warm in layers of rice and gravy. Preheat the oven to 180 C and bake for 20 mins. if you feel it is still very moist beneath, bake for another 5 to 10 mins. This depends on what kind of baking dish you use. Usually ceramic ones get done faster. 1. 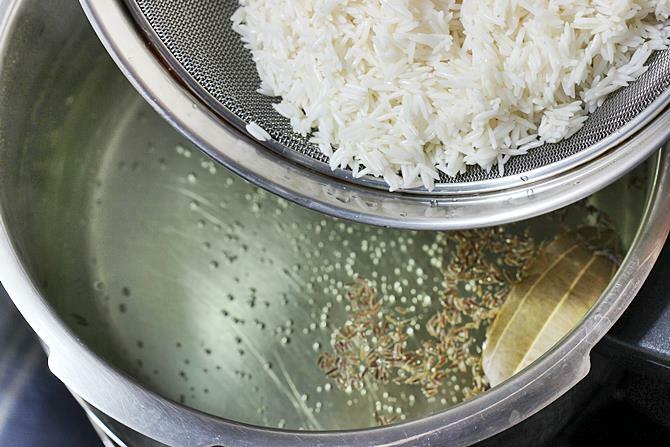 Wash and soak rice for at least 30 mins. While the rice soaks you can go ahead with the next steps. 2. 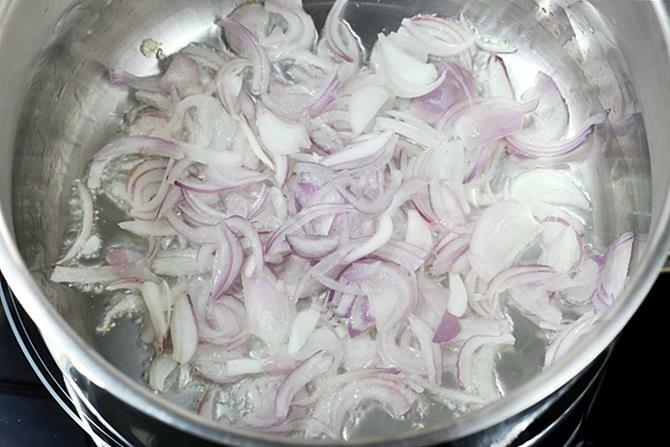 I highly recommend using fried onions for making a good hyderabadi biriyani. 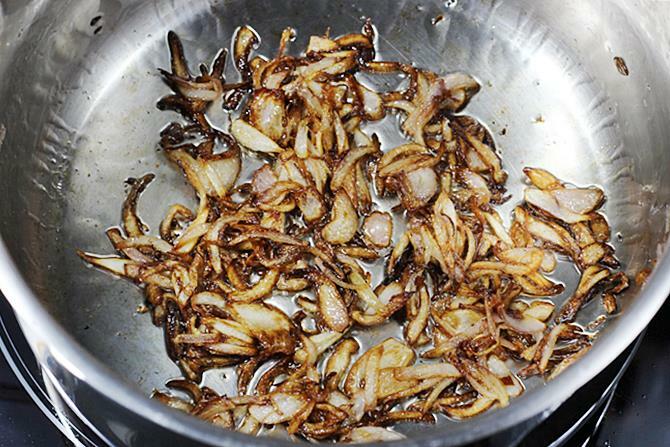 The aroma of these fried onions is great and cannot be substituted with any other ingredient and not even with pan fried onions. Thinly slice onions and fry them in hot oil until they turn crisp and golden. Set aside. These are also sold in super markets as fried onions (not onion flakes). 3. You can also shallow fry, this is how you can do it if you like to shallow fry. Heat oil in a pan. Add even & thinly sliced onions. Also separate the layers before adding. 4. Fry them until golden and brown. Do not burn. Keep stirring often to evenly brown them and prevent burning. 5. Set aside half of these. Move the rest of the onions to a side in the pan. Off the stove for a while to prevent burning the spices. 6. 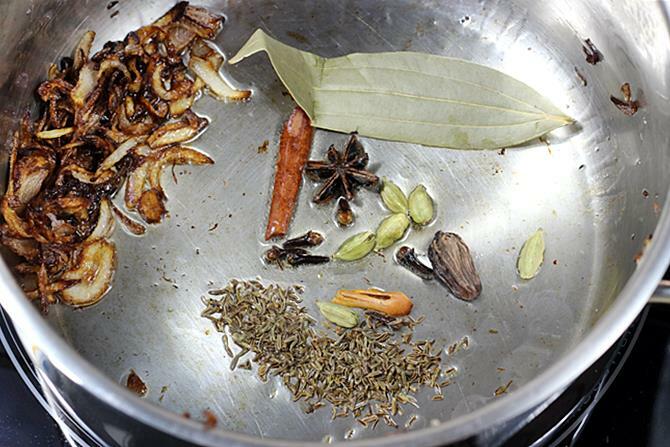 Add all the dry spices except shahi jeera. Sauté till you get an aroma. Takes around a min, do not burn. 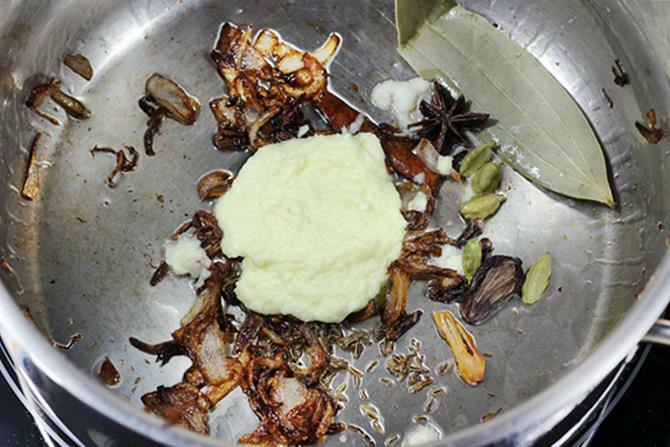 Add shahi jeera and sauté until they crackle. 7. Switch on the stove and lower the flame. Add ginger garlic paste. 8. Saute till the raw smell goes off. Keep stirring. 9. Add all the vegetables and fry for 2 to 3 mins. 10. Add turmeric, salt, red chili powder and biryani masala powder. 11. Fry till it turns aromatic for about 2 to 3 minutes. 12. Pour 100 ml yogurt. Set aside rest of the yogurt for further use. Mix Well. 13. Cook covered till the veggies are cooked al dente, just cooked. Cook covered if needed. Do not overcook the veggies. Off the stove when done. 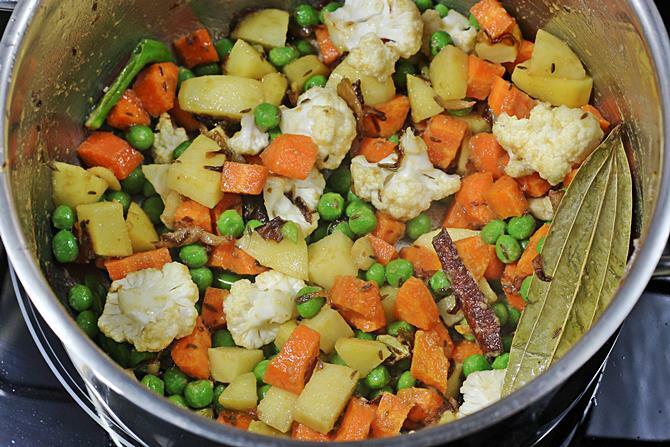 While the veggies are getting cooked, you can proceed with the next step. 14. 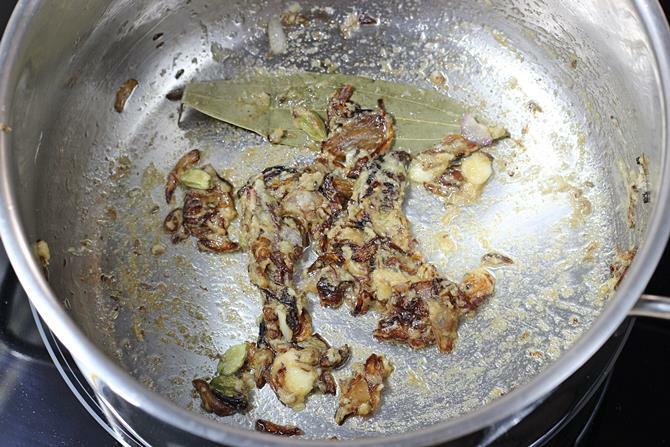 In a large pot, bring 5 cups of water to boil, add oil, salt, shahi jeera and bay leaf. Adjust the salt as needed. 15. 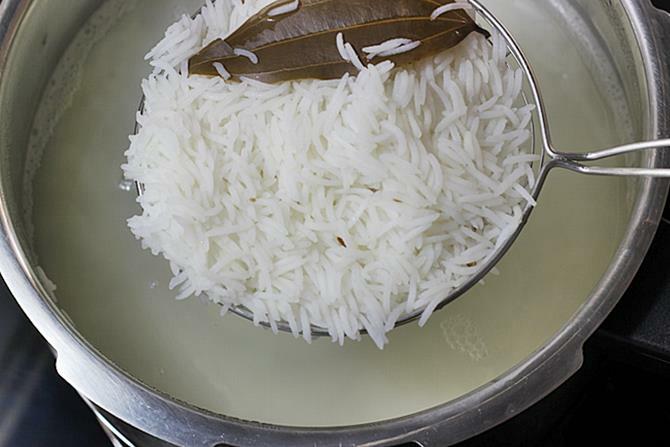 Add washed, soaked and drained rice. 16. Cook this rice till it is 90% done or al dente (just cooked). You must be able to get a bite into the rice. 17. Drain off the excess water and set aside. You can soak saffron in 2 tbsp of this hot water or in hot milk. Set aside. 18. Make sure the veggies are cooked al dente. If you like to make a 2 layer biryani, set aside 1/3 of the cooked veggies. If you are using a small pot for dum, then it works good to set aside half, If you use a wide pot, then just go ahead making a single layer. 19. Add the rest of the curd, mint and coriander leaves to the dum pot. 20. Mix well. Spread it well evenly. 21. Layer half of the rice, If you have set aside half of the curry then layer it now, if you have not set aside then just sprinkle 2 pinches of biryani masala powder. Then sprinkle few fried onions, mint and coriander leaves. 22. Repeat layering rice, mint, coriander leaves, fried onions and then pour soaked saffron milk. 23. I fried cashews in a small pan in hot ghee, then added raisins towards the end. Poured the ghee and then the nuts raisins over the rice evenly. You can also add a tsp of kewara water for mughalai flavors. 24. Begin to heat an old heavy bottom tawa and proceed with the next step. 25. 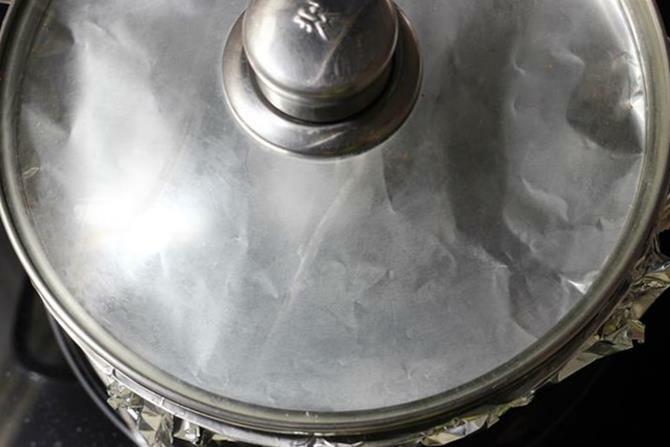 Cover the pan with 2 thick moist kitchen towels or just seal with aluminium foil. Place the lid and a heavy object on the lid. I do not place any heavy object, as my lid itself is very heavy. Or you can make dough made of wheat flour. Moisten the rim of the pan, place this dough around the rim and place the lid over it. Press the lid tight so that it sticks to the dough tightly and no steam vents out. I do not prefer to do this as this mess up the pan and cleaning is a great pain. Move this pan to the hot tawa, cook on medium flame for 5 mins. Set the flame to low. Cook this way for 5 to 7 mins. Since the vegetables and rice both are already cooked al dente, the biryani rice turns out perfect. Allow it to rest for at least 15 mins. Veg biryani is ready to serve. You can mix up the entire rice and veggie mixture for even flavoring and spice. You can also serve it without mixing for the marbled look. Just serve from the bottom to the top in portions. Make sure each serving gets a proportionate amount of spiced veggies and rice. I’m Swasthi shreekanth, the recipe developer, food photographer & food writer behind Swasthis recipes. 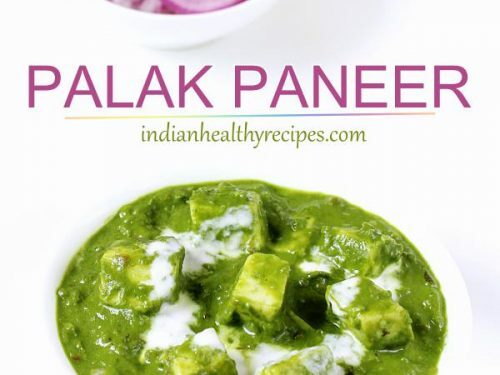 My aim is to help you cook great Indian food with my time-tested recipes. After 2 decades of experience in practical Indian cooking I started this blog to help people cook better & more often at home. Whether you are a novice or an experienced cook I am sure Swasthi’s Recipes will assist you to enhance your cooking skills. Hi, I tried this today for my son s birthday party. It was a super hit. Thanks for the recipe. Glad to know it turned out good. 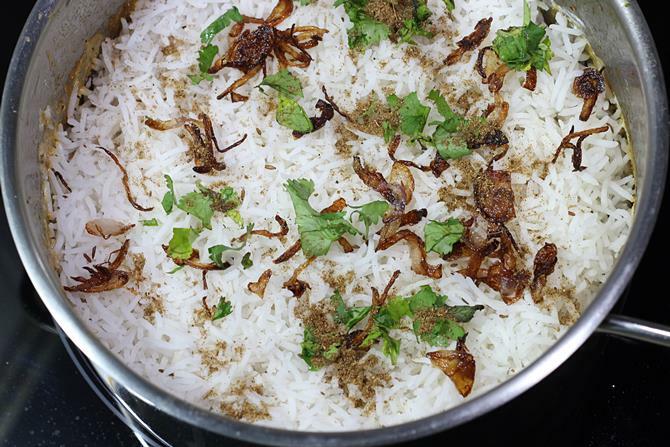 The biryani recipe is simple and yet so tasty. Thanks for the recipes. If I have to make something Indian I look for your recipes first. Thanks for sharing. Thanks for trying the recipes. Glad to know the biryani turned out good. I appreciate it so much! You are welcome. Thanks for the comment. Made me very happy. 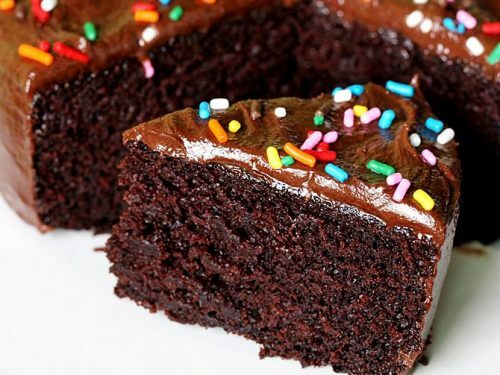 Hi Swasthi, thank you for sharing your recipes. This recipe turned out so well, so yummy. All at home loved it. Seek your advice, which veg gravy will go well with this briyani, plan to cook for my friends,. Hello. If you wereto double the portions of this recipe would you keep the amount of spices the same or add extra. Also for a vegan alternative would it be ok to use yoghurt made from coconut instead? I have followed your each steps clearly and my family said that it was better than any restaurant, the ingredients quantity mentioned by you is very much accurate. 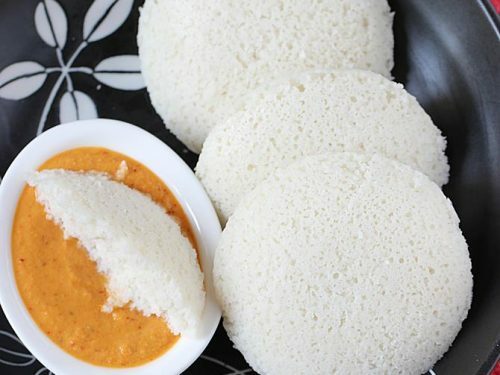 Thanks Swaswathi, for such a wonderful dish. Love your recipe and make it often. Thank you! Just one question. The yogurt curdles when I start mixing it with the veggies. Is there a way that I can prevent it from happening? The final dish tastes great though. I have tried making Dum Biryani before but using Chicken. 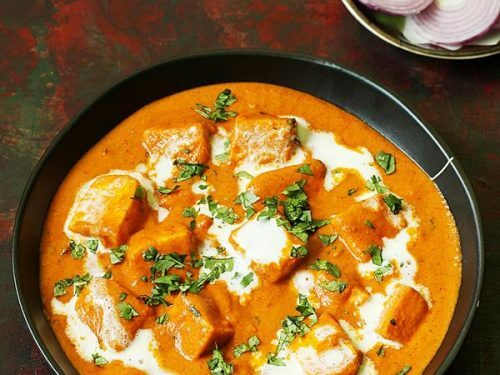 I think they way you have shared the recipe – with all the small things considered – especially adding Shahi Jeera later, the al dente rice, the ghee on top with the saffron milk etc. – a lot of thought has gone into it and if followed to the T – the biryani just cannot go wrong. . 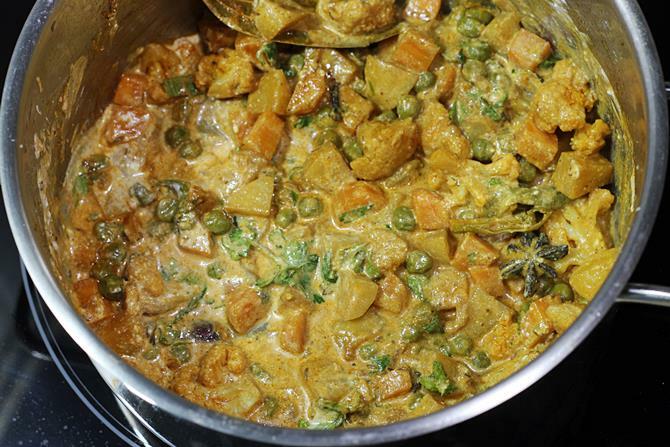 I noticed that you have not used coriander powder while cooking the veggies. Any particular reason?? Thank U very much! I’m grateful 2U! Thank you very much for the good recipe. It taste very much. Even I cannot buy each ingrendient in Germany. © 2012 - 2019 - Swasthi's Recipes. 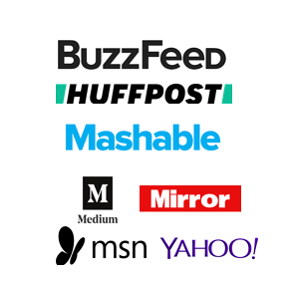 The content is copyrighted to SWASTHI'S and may not be reproduced in any form.